Disclosure: This project has been compensated as part of a social shopper insights study for Elmer’s #gluenglitter #collectivebias #CBias. All thoughts and opinions are 100% honest and are that of my own. It’s no secret that we are huge Nebraska fans in our house, so when the opportunity came for me to create a fun project with Elmer’s and Collective Bias I jumped at it! My husband will actually be going to the stadium for the game since it is at home this week, but since my daughter and I will be staying home, I created a fun “Scoreboard” that we could interact with throughout the game! Click here to view my entire shop where I purchased the materials to create this project. 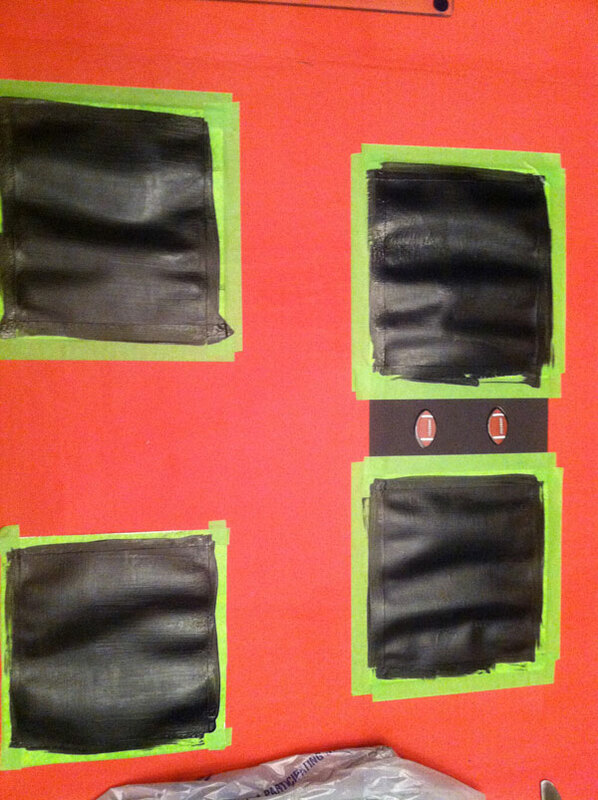 My favorite part is the chalkboard paint that I used for the score, down and quarter. I filled in some numbers for photography purposes, but it will be fun to erase and add up the score as it happens! 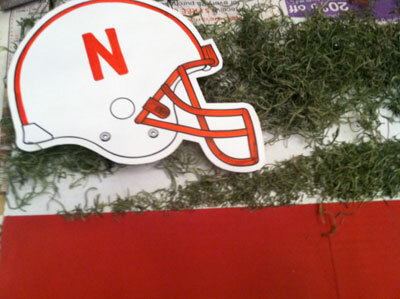 Lastly, in the center there is a jump ring with a chip hanging from it with the Nebraska logo. This is who is winning! 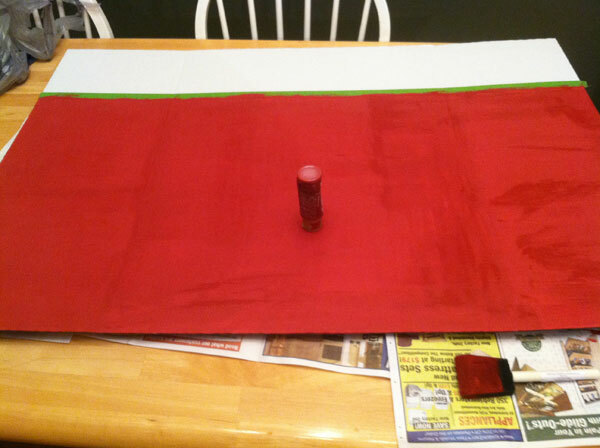 Step 1: Paint 3/4 of the tri-fold board with a red color. I used painter’s tape to easily mark off the line so I didn’t paint too far. Allow it to dry and give it another coat in the spaces where it looks like you need better coverage. 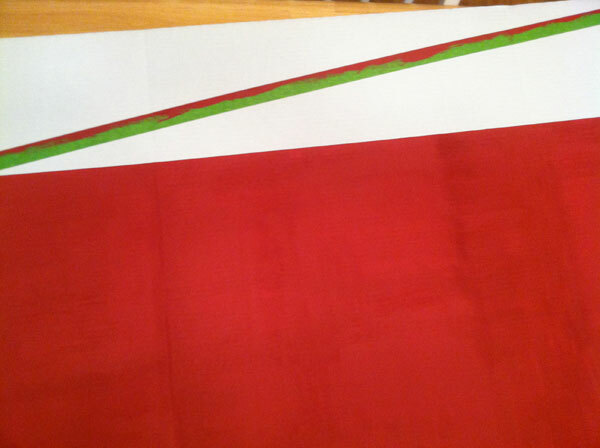 Step 3: Using a brush, apply glue to the white space around the tape and brush it where it covers the entire area. 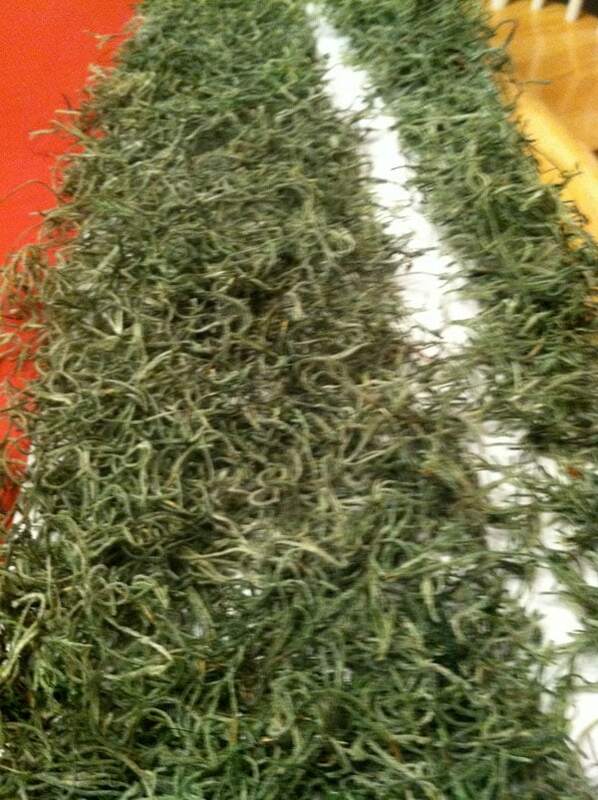 Place the moss on top of the glue and allow to dry. Once the glue is dry, you will probably have to do this again to cover any white space left. 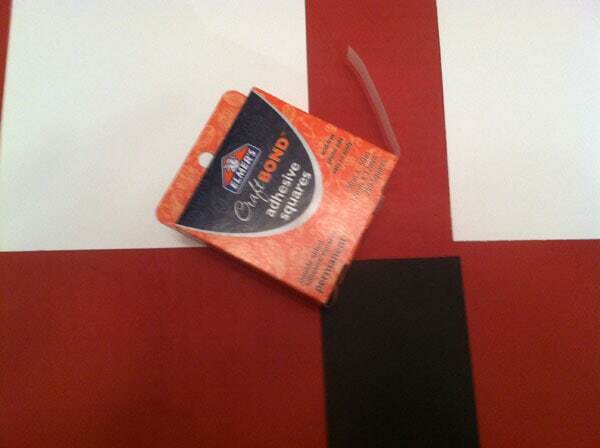 Once complete, remove the tape so that what you are left with looks like a grassy football field. Don’t worry if it isn’t perfect, sometimes imperfection adds to the project! Step 4: Using your computer, find images that you can use for the teams and print and cut them out. My printer was running out of ink so I had to do a little coloring on them also. Step 5: Using white and black cardstock, cut out pieces to be used as the scoreboard and the boxes that indicate what down and quarter the game is in. I embellished the center of the scoreboard with some football brads that I already had on hand. Adhere them to the display board using adhesive squares. 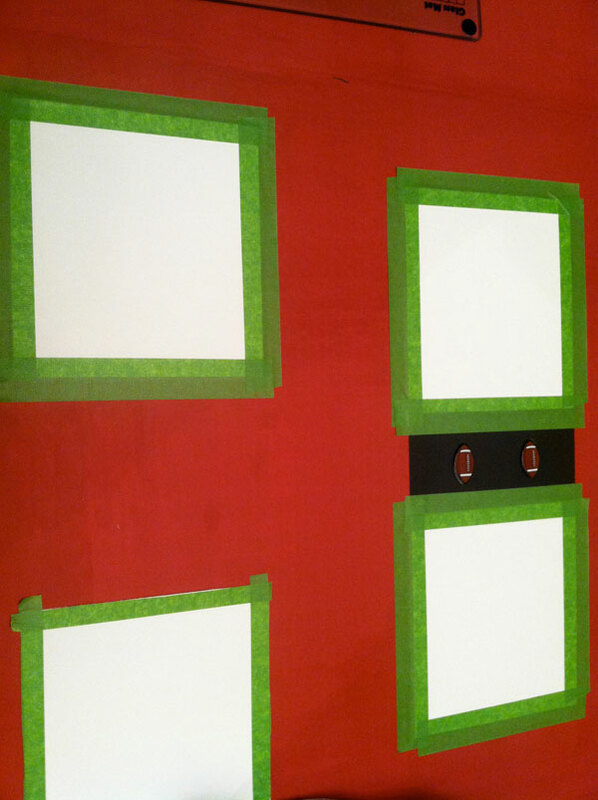 Step 6: Tape around the edges of the white squares so that you can then paint them with the chalkboard paint. 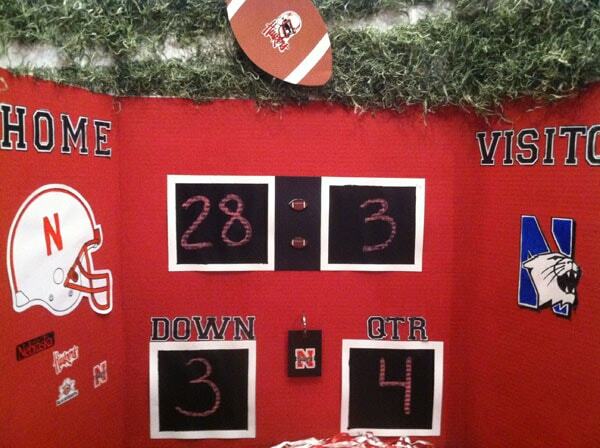 Step 7: Paint your scoreboard with chalkboard paint. I used 2 coats. Don’t be afraid if your cardstock bubbles up a little bit. Mine flattened back out once it dried. 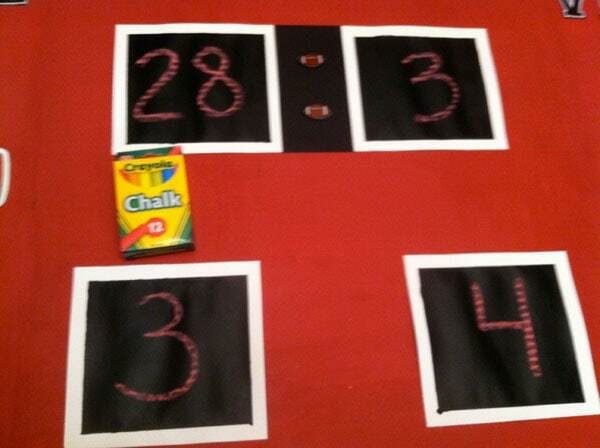 Step 8: Fill in fake scores with your chalk to make sure the chalkboard paint works. This was one part I was super excited about because I’ve never used it before! Step 9: Using your computer and printer, print out lettering and cut it out. I used “Varsity” font from dafont.com, a website to download free fonts. Using the glue spots, adhere them to the display board. 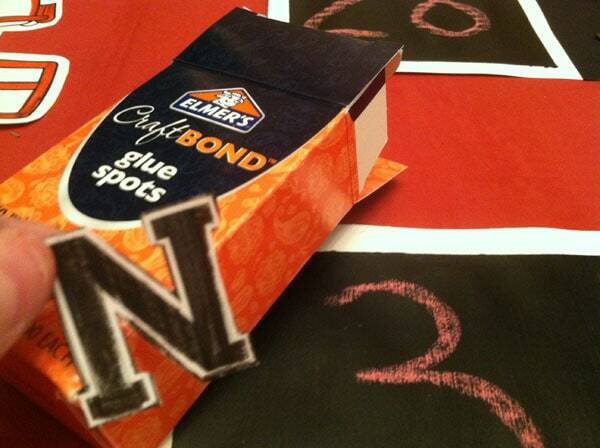 Finish adding any stickers or other embellishments you might have cut out or on hand for the game. Step 10: Using your X-ACTO knife, cut a line in the center of the cardboard. I used a chip that I had left over from a countertop sample, however you can also use a black piece of cardstock and make a tag to hang. Apply stickers with both teams logo on it and slip it on a jump ring. Slide the jump ring into the slit you have just cut in your cardboard. This will allow the child to be able to flip up the first one if they are not winning and display the other team. I put my daughter’s pom, poms in front of the board (even though I wasn’t able to fit them into the photo. We are going to have fun playing with the new scoreboard during today’s game at 2:30! Go Big Red! Ngaw…that’s soo creative and AWESOME! Oh. My. Gosh. How cute is that?! Love the scoreboard, way cool idea! Oh my goodness–this is AWESOME! We are HUGE Nebraska fans too–in fact, we were at the game!! 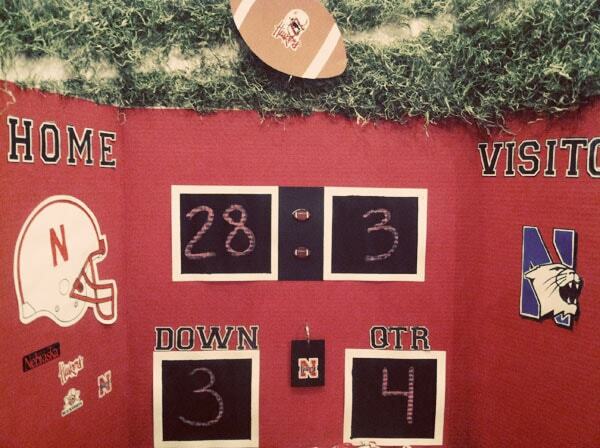 Too bad the score wasn’t quite like your adorable scoreboard indicated! 🙂 I’m SO excited to find another fan! There can never be too many Nebraska posts represented! 🙂 Go Big Red!